Duma. Lyrico-epic works of folk origin about events in the Cossack period of the 16th–17th century. The dumas differ from other lyrico-epic and historical poetry by their form and by the way in which they were performed. They did not have a set strophic structure, but consisted of uneven periods that were governed by the unfolding of the story. Each period constituted a finished, syntactical whole and conveyed a complete thought. The poem's lines varied in length from 4 to 40 syllables. Rhyme played an important role. Usually the verbs carried the rhyme and in this way bound several lines together. The dumas were not sung, but were performed in recitative to the accompaniment of a bandura, kobza, or lira. The chanting had much in common with funeral lamentation. The poetics of the duma were similar in some ways to that of Serbian epic poetry. Synonym pairs (plache-rydaie, bizhyt-pidbihaie) and standard epithets (buinyi viter, synie more, syva zozulia) were frequently used. Origin. 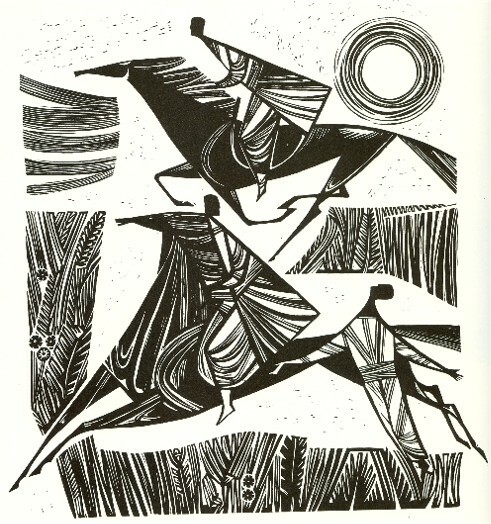 Scholars connect the dumas with the poetic forms that appeared in Ukraine in the 12th century, particularly with the Slovo o polku Ihorevi. One widely accepted theory of the origin of the dumas is that proposed by Pavlo Zhytetsky, according to which they were a unique synthesis of popular and ‘bookish-intellectual’ creativity. The dumas were based on folk songs, modified by the influence of the syllabic poetry produced in the schools of the 16th–17th century. The language of the dumas retains many archaisms and Church Slavonic expressions. The bookish elements could have been introduced into the historical songs by traveling tutors and cantors in the 17th century. Volodymyr Peretts described the dumas as ‘a harmonious synthesis of cultural-individual creativity with folk creativity.’ The dumas were first mentioned by the Polish historian S. Sarnicki, who, in his Annales under the year 1506, mentions that mournful songs—dumas—were composed in honor of two brothers who died during the Wallachian campaign. The dumas arose from the military life of the 16th–17th century. Themes. The dumas can be divided into two thematic cycles. The first and older cycle consists of dumas about the struggle with the Tatars and Turks. Among these the following groups can be distinguished: (1) dumas about Turkish captivity (‘The Escape of the Three Brothers from Azov,’ ‘Marusia Bohuslavka,’ etc); (2) dumas about a Cossack's heroic death (‘Samara Brothers,’ ‘Ivan Konovchenko,’ ‘Khvedir Bezridny,’ etc. ); (3) dumas about the successful liberation of Cossacks from slavery or their return from a campaign (‘Samiilo Kishka,’ ‘Oleksii Popovych,’ ‘Otaman Matiash,’ etc.). In addition, the older group of dumas includes (4) moralizing songs about daily life (‘About the Widow and Her Three Sons,’ ‘About the Brother and Sister,’ etc). All the older dumas are distinguished by their lyrical quality, mournful tone, and profound moral insight. Their linguistic richness and style point to their close connection with the older folk songs, particularly funeral laments. The second cycle consists of dumas about the Cossack-Polish struggle. By content they can be divided into two groups: (1) dumas about the Bohdan Khmelnytsky period (‘Khmelnytsky and Barabash,’ ‘The Battle of Korsun,’ ‘Leases,’ ‘Khmelnytsky's Moldavian Campaign,’ etc) and (2) dumas on social themes (‘The Duma about Handzha Andyber,’ ‘Duma about Cossack Holota's Duel with a Tatar,’ etc). History of collection and scholarship. The collecting and study of dumas has evolved through three periods. During the first period, in the 1820s–1830s, the earliest collections of Ukrainian folk songs were published by Nikolai Tsertelev, Mykhailo Maksymovych and Platon Lukashevych, and these collections contained the first transcriptions of dumas. In this period no scholarly analysis was attempted. In the second period there was a great surge of interest in dumas. They were widely used by such writers as Taras Shevchenko, Yevhen Hrebinka, Nikolai Gogol, and Panteleimon Kulish. Kulish tried to construct an anthology of dumas in his poem Ukraina od pochatku Vkrainy do bat’ka Khmel’nyts’koho (Ukraine from the Origin of Ukraine to Father Khmelnytsky, 1843). Dumas were collected and published by Amvrosii Metlynsky in Narodnye iuzhno-russkie pesni (South Russian Folk Songs, 1854) and by Kulish in Zapiski o Iuzhnoi Rusi (Notes on Southern Rus’, 1856–7). In this period many new variants were discovered, and new standards of transcription were established. Scholarly research on dumas was begun, particularly by Mykola Kostomarov. The third period of collection and research came in 1860–90, and its achievements have retained their validity to this day. Volodymyr Antonovych and Mykhailo Drahomanov's publication of dumas entitled Istoricheskie pesni malorusskogo naroda (The Historical Songs of the Little Russian People, 2 vols, 1874–5) had an epochal significance. The texts of the dumas were accompanied an extensive historical and comparative-literary commentary. 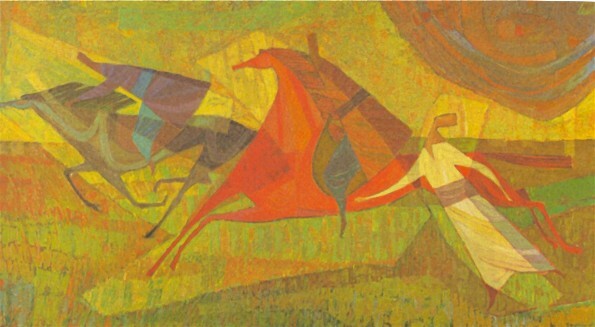 Pavlo Zhytetsky's works were very important. The earliest research on the music of the dumas was done by Mykola Lysenko. In connection with the Twelfth Archeological Conference in Kharkiv in 1902, there was a great increase of interest in the professional duma singers-bandurysts, kobzars, and lirnyks. Research on the dumas reached its scholarly culmination in Kateryna Hrushevska's work Ukraïns’ki narodni dumy (Ukrainian Folk Dumas, 2 vols, 1927–31). The dumas have been translated into various languages: into Polish by Michał Grabowski in 1837 and M. Kasjan in 1973, into German by Friedrich Bodenstedt in 1845, into French by A. Rambaud in 1876, and into English by Florence Randal Livesay in 1916. The best and most complete collections were translated into French by Marie Scherrer (1947) and into English by George Tarnawsky and P. Kilina (1979). A referral to this page is found in 18 entries.